Preaching for the Solemnity of Mary, Mother of God, Wamũyũ Teresia Wachira, IBVM offers a reflection inviting us ask, "What can we learn from God’s action of choosing a woman, whom we, in our world will refer to as a nobody, to carry in her womb, Jesus – God’s loving son? What can we learn from God’s choice of shepherds, who are the poorest in the society, shepherds who smell of sheep to be the first bearers of the Good News?" Wamũyũ Teresia Wachira, IBVM -- of Kenya -- is Senior Lecturer and Programme Leader of the Peace and Conflict studies at St Paul University (an ecumenical private university) in Nairobi, Kenya. She is a member of the Board of Pax Christi International, the global Catholic peace movement. She also serves as a member of the Advisory Committee of the IBVM – United Desk, New York; the co-coordinator of the Loreto Eastern Africa Province Justice, Peace and Integrity of Creation (JPIC) committee; and as an active member of the steering committee of the Catholic Nonviolence Initiative. Visit www.catholicwomenpreach.org/preaching/01012019 to learn more about Wamũyũ Teresia, to read her text, and for more preaching from Catholic women. Inspired by the full Resurrection narrative in the Gospel of John, Annie Burns preaches for Easter, offering a reflection on moving through the current pain and fear toward healing and reconciliation and new ways of being Church:"I think it is time for myself and for our Church to move through these moments of fear and pain. It is time for us to turn around and see Jesus risen. To get up, blinking through our tears, and to share the hope of the Resurrection with the people around us. To restore our communities in justice, through reconciliation and atonement. To let go of past ways of being Church to make room for healing, growth, and prospering as we begin a new chapter. I know I can’t do this by myself. I need all of my church, all of you, all of my brothers in positions of power, to join me in this Resurrection moment. It is time to listen to the unattended to prophets, to seek out the voice of the Spirit in the most unexpected places, to put as our new cornerstone that which had previously been rejected. "Annie Burns is a graduate of Loyola University, Chicago and a former Maryknoll Lay Missioner. She currently serves on the FutureChurch board. Visit www.catholicwomenpreach.org/preaching/04212019 to learn more about Annie, to read her preaching text, and for more preaching from Catholic women. Preaching for Holy Thursday, Kathy Baroody, informed by her years of experience with the L'Arche Community, offers a reflection on Christian love, saying:"So the question for us this evening is, Can we say yes to Jesus’ invitation? Can we choose to love to the utmost? To engage humbly with one person at a time, to offer refreshment and tenderness to the weary soul, to look with extraordinary love into the eyes of the person in front of us, and convey that they are of infinite value? If, indeed, this is possible, then we will know that the hour of salvation has come. "Kathy has lived most of the past 35 years in Bethlehem, in the Holy Land. As a member of L’Arche, she is responsible for the mission of L’Arche in Palestine and was instrumental in supporting the creation of a community in Bethlehem. L’Arche is an international federation of communities, founded by Jean Vanier, that brings together people with and without intellectual disabilities to share life and create communities of welcome where each person’s unique gifts can be shared and celebrated. Visit www.catholicwomenpreach.org/preaching/04182019 to learn more about Karen, watch her video, read her text, and for more preaching from Catholic women. Preaching for the Fifth Sunday of Lent, Kaya Oakes, offers three insights from the passage about the woman “caught” in adultery: 1. “Jesus instead chooses not to condemn her. And that’s not the same thing as forgiveness, because, perhaps, in her case, there’s nothing for him to forgive;” 2. “What if she didn’t do it?... It’s entirely possible the ‘adultery’ this anonymous woman was caught in was really something else,” and 3. “the woman never asks for forgiveness. Unlike those who’ve been accused, who’ve been found guilty and who have publicly begged for forgiveness, she is silent, until Jesus asks who has really condemned her, and her answer is no one.” This leads Oakes to conclude, “It’s no coincidence that our other readings today are about new ways of doing things, new ways of seeing ourselves and the world around us.” She ends: “Our newness might look like this: that we might speak, and be believed, instead of being dismissed. That when we’re falsely condemned, judged, or criticized, we might stop condemning ourselves. That we might not be condemned for things we did not do, but instead be set free. That we might learn to atone rather than apologize when we have actually done real harm. That we might get, for the first time, to tell our own stories, instead of having them told.” Kaya Oakes teaches nonfiction writing at the University of California, Berkeley. She is the author of four books, including Slanted and Enchanted: The Evolution of Indie Culture (Henry Holt, 2009); Radical Reinvention: An Unlikely Return to the Catholic Church (Counterpoint Press, 2012); and The Nones Are Alright: A New Generation of Seekers, Believers, and Those In-Between (Orbis Books, 2015). Her writing has appeared in America, Commonweal, Slate, The New Republic, Foreign Policy, The Guardian, Narratively, Religion Dispatches, Religion News Service, National Catholic Reporter, and many other publications. Visit www.catholicwomenpreach.org/preaching/04072019 to view her preaching video or read her preaching text and for more preaching from Catholic women. Preaching for the Fourth Sunday of Lent, Paola Piscitelli offers a reflection on joyful reconciliation and radical welcome: "That is what God is like: he always precedes us in love and runs towards us, sinners, to embrace us and to teach us to embrace each other. This Lenten season is a good time for us to experience the richness and joy of reconciliation and welcome. May this time of Lent help us change our heart and attitude; may we be able to accept the embrace and words of the Father and may we witness the same welcome and joy to those who are excluded from our society and who do not receive words and gestures of reconciliation and joy." Paola Piscitelli is the President of the Community of Sant’Egidio USA, the American branch of the larger worldwide movement founded in Rome in 1968. Born in Rome, Italy, Paola joined the Community of Sant’Egidio while she was attending high school. She has been a member of it since then and has become president of its American branch in 1993. As such she has coordinated the service programs and the growth of the Community in the United States through seminars, retreats, presentations and lectures. As all the members of Sant’Egidio her commitment with the community is totally volunteer. To learn more about Paola, the Sant'Egidio community, to read the text of Paola's reflection or view the video, visit www.catholicwomenpreach.org/preaching/03312019. Preaching for the Third Sunday of Lent, Kristin Heyer offers a reflection on standing on holy ground: "We don’t have to walk in the desert or witness a miraculous sight to recognize that we are standing on holy ground. As with Moses, God interrupts our ordinary lives, as well. We experience moments when something perceptibly shifts and we become aware of the sacred quality of the encounter." Kristin E. Heyer is professor of theological ethics at Boston College. She serves as co-chair of the planning committee for Catholic Theological Ethics in the World Church, a global network that fosters connections within the world church. She has also served on the boards of the Catholic Theological Society of America, the Moral Traditions Series at Georgetown University Press, and the Seminar on Jesuit Higher Education. She received her B.A. from Brown University and her Ph.D. in theological ethics from Boston College. Visit www.catholicwomenpreach.org/preaching/03242019 to learn more about Kristin, to watch her video or read her text, and for more preaching from Catholic women. Preaching for the Second Sunday of Lent, Sr. Jane Wakahiu, LSOSF offers a reflection on the ways we encounter God and how we might respond to those encounters: "God meets us right where we are, and in the ordinariness of our own lives, but we too have a responsibility to pause, to listen, and to open our eyes to see what God is asking of us." Sister Jane Wakahiu, LSOSF, Ph.D., is a member of the Institute of the Little Sisters of Saint Francis, Kenya. Wakahiu oversees the planning, development, implementation, and evaluation of the Conrad N. Hilton Foundation’s Catholic Sisters Initiative and its Catholic Education Programs. Before Visit www.catholicwomenpreach.org/preaching/03172019 to learn more about Sister Jane, read her preaching text, and for more preaching from Catholic women. Preaching for the First Sunday of Lent, Sheila Kinsey, FCJM, offers a reflection that encourages to consider Jesus' temptation in the desert and to reflect upon our own desert journeys: "We are to become the presence of God for others. In our lives, we will face temptations, but God is there to guide us so that we don’t fall into sin."Sr. Sheila Kinsey, a member of the Franciscan Sisters Daughters of the Sacred Hearts of Jesus and Mary (FCJM), is the Executive Co-Secretary for the Justice, Peace and Integrity of Creation (JPIC) Commission of the Union of Superior Generals (USG) and International Union of Superior Generals (UISG). She was appointed to the position in 2015, upon completion of her term as general councilor for her congregation in Rome. She is actively involved in issues related to poverty, human rights, refugees and migrants, anti-trafficking, peacebuilding, environment, sexual abuse and collaboration, and currently serves as the Coordinator of the UISG Campaign: Sowing Hope for the Planet.Visit www.catholicwomenpreach.org/preaching/03102019 to view Sr. Sheila's video or to read her text and for more preaching from Catholic women. Preaching for Ash Wednesday, Christine E. Boyle, Director of Campus Ministry at St. Peter's University in Jersey City, NJ, offers a reflection on how we might enter into this Lenten season, especially in light of the clergy sexual abuse and coverup scandal: "And so as I enter my forty day journey of Lent, like many in the church, I am praying to discern a grace-led and grace-filled pathway forward. Discernment does not mean slow or passive acting; it means deliberately prayerful, and Spirit-led listening and action so I can best serve Christ and our church, as an individual and needed member of our assembly." Christine E. Boyle is the Director of Campus Ministry at Saint Peter’s University in Jersey City, NJ. She is a proud alumna of the University of Scranton (B.A. History) and the Jesuit School of Theology at Santa Clara University (M.Div). She resides in the Jersey City area with husband and family. Outside of work, she is involved in a local women’s prayer group and her parish. ‍Visit www.catholicwomenpreach.org/preaching/03062019 for Christine's text, to learn more about her, and for more preaching from Catholic women. Preaching for the Eighth Sunday in Ordinary Time, Jaclyn Newns offers a reflection on imaging "God as a vine grower and gardener admiring us, proud of us." Jaclyn Newns is a spiritual director and retreat consultant based in the Philadelphia area. As a campus minister at Saint Joseph’s University, she supports students through faith-sharing communities (CLC) and weekend retreats grounded in encountering Ignatian spirituality through the arts. Visit www.catholicwomenpreach.org/preaching/03032019 to learn more about Jaclyn and to read her text and for more preaching from Catholic women. Preaching for the Seventh Sunday in Ordinary time, Sister Rhonda Miska, offers a reflection that reveals the true meaning of Jesus' sayings in today's gospel and presents a new way of understanding and acting upon them in our own time: "2,000 years ago Jesus called for his followers to act with love, in joyful resistance, in creative non-violence. Today Jesus offers the same, beautiful, demanding life-affirming call to all of us…Today, how will we respond to Jesus’ challenge. "Visit www.catholicwomenpreach.org/preaching/02242019 to learn more about Sister Rhonda, to read her text, and for more preaching from Catholic women. Preaching for the Sixth Sunday in Ordinary Time, Jennifer Owens-Jofré Preaches offers a reflection on hope. "How might we practice hope in the face of disheartening circumstances?," she asks. For her, practicing hope is bound up in our work to partner with God in bringing about the Kin-dom here and now: "Let us become a people of radical Christian hope. Let us place our faith in the Kin-dom that is to come. Let us embrace our charge to partner with God in bringing that Kin-dom about, in the here and now." Jennifer Owens-Jofré recently completed her doctoral studies at Graduate Theological Union in Berkeley, CA. Currently, she serves as Visiting Assistant Professor of Constructive Theology at Austin Presbyterian Theological Seminary through a Postdoctoral Fellowship with the Louisville Institute. Visit www.catholicwomenpreach.org/preaching/02172019 to read Jennifer's text and for more preaching from Catholic Women. Preaching on the readings for the Fifth Sunday in Ordinary time, Neomi De Anda focuses on "what Latina theologians call 'lo cotidiano,' the everydayness, of today’s Gospel." What does such a reading mean for leadership in the Church? What does it mean for our everyday lives of discipleship?" Neomi DeAnda, a Tejana scholar/activist and Catholic Lay Marianist, was raised between El Paso and Corpus Christi, Texas. She currently serves as Associate Professor of Religious Studies at the University of Dayton. She holds a Ph.D. in Constructive Theology. Visit www.catholicwomenpreach.org/preaching/02102019 to learn more about Dr. De Anda and to read her preaching text, and for more Catholic women preaching on the Sunday Scriptures. Preaching for the Fourth Sunday in Ordinary Time, Louise Lears, SC offers a reflection inviting us to allow Jesus to free us from that which holds us captive -- including our own prejudices: "Yet, Jesus was doing just what he was anointed to do. He was opening the eyes of those before him to their racism and nationalism. He was trying to set them free of their captivity, reminding them that God’s love extends to everyone – and so should theirs." Louise is a native of Baltimore who entered the Sisters of Charity of Cincinnati at age 35. She has ministered as a chaplain, mission leader, professor, and medical ethicist in Albuquerque, Colorado Springs, St. Louis, Baltimore, and now Cincinnati. She earned a Master’s in Theology (St. Mary’s Ecumenical Institute in Baltimore) and PhD in Health Care Ethics (St. Louis University). Elected to the Leadership Council of her congregation in 2011, she is currently serving a second term. She has a passion for social justice and the inclusion of women in all the ministries of the Church. Visit www.catholicwomenpreach.org/preaching/02032019 to learn more about Louise, read her text, and for more preaching from Catholic women. Preaching for the Third Sunday in Ordinary Time, Carmen M. Nanko-Fernández offers a refreshing reflection on the Holy Spirit, saying, "For too long we have domesticated the Holy Spirit, imagining a peaceful white dove as a comforter to support the status quo, or as an advocate without the sharp edge of advocacy." A self-described Hurban@́ (Hispanic and urban) theologian, Carmen is Professor of Hispanic Theology and Ministry, and the director of the Hispanic Theology and Ministry Program at Catholic Theological Union in Chicago, USA. Visit www.catholicwomenpreach.org/preaching/01272019 to learn more about Carmen, to read her text, and for more preaching from Catholic women. Preaching for the Second Sunday in Ordinary Time, Jane E. Regan offers a reflection on how we all might intentionally reflect the glory of God: "As we move into the second week in ordinary time, may we be those who intentionally reflect God’s glory through a sense of gratitude, through actions of kindness, and by nurturing within one another the voices that preach the Gospel in word and action." Dr. Jane E. Regan is Associate Professor of Theology at the School of Theology and Ministry at Boston College and Director of Continuing Education for the School of Theology and Ministry. Her academic background, which includes a PhD in religious education from the Catholic University of America, is complemented by her educational and pastoral work. She has been involved in religious education at the diocesan and national levels for many years. Dr. Regan is a nationally recognized speaker with a particular focus on adult faith formation and catechetical leadership. Visit www.catholicwomenpreach.org/preaching/01202019 to see Dr. Regan's preaching video or to read her text text and for more preaching from Catholic women. Preaching for the Baptism of the Lord, Andrea Hattler Bramson offers a reflection on staying true to our vocation despite the "curve balls" that life will inevitably throw our way: "As you ponder your life, tasks, and responsibilities, let yourself doubt, like John the Baptist be confident that God accompanies us with love and mercy, and then let yourself stay TRUE to your vocation – whatever it is." Andrea has been the president of the Loyola Foundation for over 10 years, and has been a trustee for over 30. She has served on the boards of SOAR!, FADICA, NCEA, and was the president of the pastoral council of her parish in Reston, Virginia. Andrea is the mother of three and now lives in Bluffton, South Carolina with Brian, her husband of over 25 years, her daughter Victoria, and the two dogs that show anyone unconditional love. 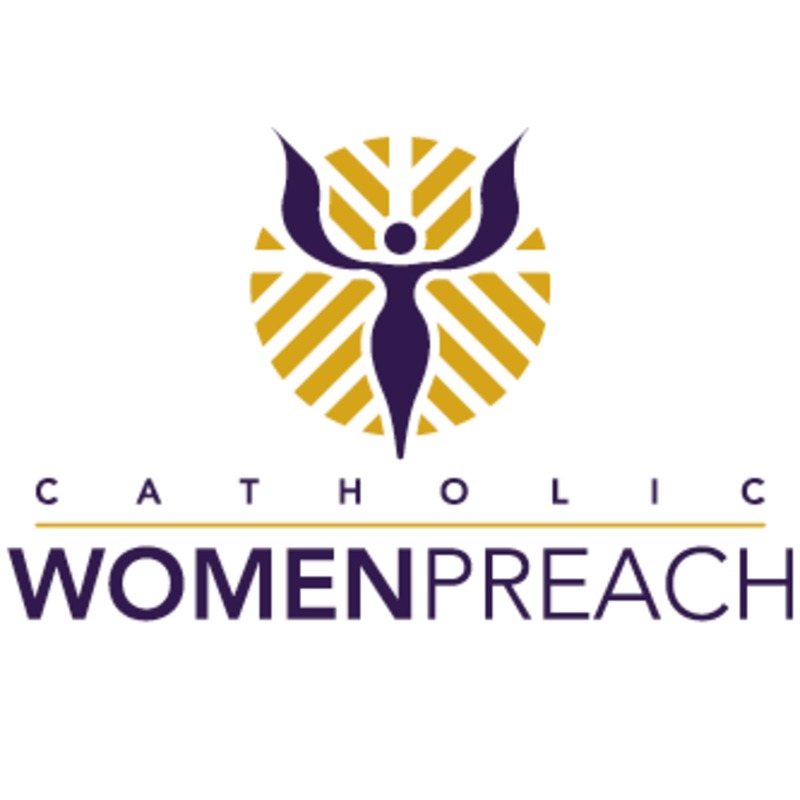 Visit www.catholicwomenpreach/preaching/01132019 to learn more about Andrea, to read her preaching text, and for more preaching from Catholic women. Preaching for the Epiphany, Barbara E. Quinn, RSCJ offers a reflection on how Epiphany calls and empowers us to broaden our visions and horizons: "When the light of the Epiphany star sears our souls, it also casts a beam of light across and beyond any horizon we have imagined before, calling us to a new vision." Barbara Quinn, RSCJ is a member of the Society of the Sacred Heart, United States-Canada province. Since 2011, she has been serving as the Associate Director of Spiritual Formation at the Boston College School of Theology and Ministry (STM). Prior to coming to the STM, Barbara served for 10 years as the founding director of the Center for Christian Spirituality at the University of San Diego. Visit www.catholicwomenpreach.org/preaching/01062019 to learn more about Barbara, to read her preaching text, and for more preaching for Sundays and holy days from Catholic women. Preaching for the Solemnity of Mary, Mother of God, Wamũyũ Teresia Wachira, IBVM offers a reflection inviting us ask, "What can we learn from God’s action of choosing a woman, whom we, in our world will refer to as a nobody, to carry in her womb, Jesus – God’s loving son? What can we learn from God’s choice of shepherds, who are the poorest in the society, shepherds who smell of sheep to be the first bearers of the Good News? "Wamũyũ Teresia Wachira, IBVM -- of Kenya -- is Senior Lecturer and Programme Leader of the Peace and Conflict studies at St Paul University (an ecumenical private university) in Nairobi, Kenya. She is a member of the Board of Pax Christi International, the global Catholic peace movement. She also serves as a member of the Advisory Committee of the IBVM – United Desk, New York; the co-coordinator of the Loreto Eastern Africa Province Justice, Peace and Integrity of Creation (JPIC) committee; and as an active member of the steering committee of the Catholic Nonviolence Initiative.Visit www.catholicwomenpreach.org/preaching/01012019 to learn more about Wamũyũ Teresia, to read her text, and for more preaching from Catholic women. Preaching for the Feast of the Holy Family, Kerry Weber offers a reflection on family life, sacraficial love, and reliance on God. Kerry Weber is an executive editor of America, where she has worked since 2009. She is a co-host of "America This Week," a weekly radio program on SiriusXM 129, The Catholic Channel. Kerry is the author of Mercy in the City: How to Feed the Hungry, Give Drink to the Thirsty, Visit the Imprisoned, and Keep Your Day Job (Loyola Press), which received a 2014 Christopher award, as well as awards from the Catholic Press Association and the Association of Catholic Publishers. Her writing and multimedia work have earned several awards from the Catholic Press Association, and in 2013 she reported from Rwanda as a recipient of Catholic Relief Services' Egan Journalism Fellowship recognizing excellence in the Catholic media. She is a graduate of Providence College and the Columbia University Graduate School of Journalism. From 2004-2005 Kerry volunteered through the Mercy Volunteer Corps as a special-education teacher on the Navajo reservation in St. Michael's, Arizona. She has been a Mercy Associate since 2012. She is a board member of the Catholic Press Association and of the Ignatian Solidarity Network. Visit www.catholicwomenpreach.org/preaching/12302018 for Kerry's text and for more preaching on the Sunday and Holy Day Scriptures from Catholic women. Yadira Vieyra Alvarez preaches for Christmas, offering a reflection on living Christmas joy, even in difficult times: "We must remember, however, that receiving this child is a decision. If we do not accept and embrace the presence of Jesus in our daily lives, of what use is his peaceful dominion? If we do not have peace in our families, our homes, our marriages, our communities, of what use is God’s offering to us?" Yadira Vieyra Alvarez was appointed as an auditor at the 2018 Synod of Bishops on Young People, the Faith, and Vocational Discernment and represented the immigrant community in the United States. Yadira Vieyra Alvarez is Research Specialist at the School of Social Service Administration at The University of Chicago, where she works on evaluating the effectiveness of doula home visiting services being provided to adolescent mothers. Yadira is also collaborating with the University of Chicago at Illinois and Immaculate Conception Parish in Brighton Park through “Fortaleciendo mi familia” – a series of sessions aimed at bringing low-intensity cognitive behavioral therapy and psychosocial support to Mexican immigrant families experiencing distress, anxiety, and depression due to exposure to community violence, financial challenges, and migration-related worries. She attended Cristo Rey Jesuit High School and later moved to Washington D.C. where she completed her bachelor’s degree in Psychology and Theology from Georgetown University. She received her Masters of Science from Erikson Institute in Chicago, a premier graduate school in early child development. As part of her commitment to urban Catholic Education, Yadira has also served in a variety of ministerial and catechetical roles including the Leadership Advisory Council at Cristo Rey Jesuit High School. Visit www.catholicwomenpreach.org/preaching/12252018 to read Yadira's text, and for more preaching from Catholic women.